This week I had visited Stockholm by invitation from Swedish Institue, to participate in STHLM Tech Fest and take part in dedicated sessions and meetings with local businesses and authorities. 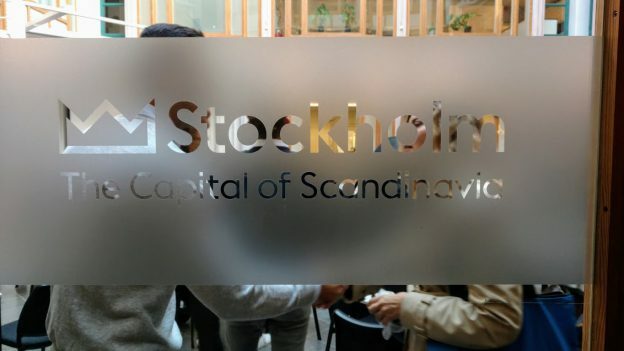 It was a fascinating and inspiring dive into Stockholm tech scene, which is booming with entrepreneurs, startups, venture funds, incubators and co-working spaces. According to some estimates, Stockholm-based tech businesses generated $1.75 billion (!) in exit value last year. Five of the Top 10 fastest-growing companies in Europe are from Stockholm, and the city has the highest amount of Unicorn startups per capita in the world after Silicon Valley. Impressive isn’t it? So what is the secret to Stockholm’s, and more broadly, Swedish growing success in a post-industrial information economy? There are different models for building successful innovation hubs across the world, with Silicon Valley obviously being a most prominent one, and I think Sweden has found its own «secret sauce». Upon arriving in Sweden, you will quickly learn that there’s a special «Swedish way» of living, organizing society and economy which eventually facilitates entrepreneurship and innovation. Swedes like to try new things and are often early adopters of new technologies. They like comfort, but at the same time, they are adventurous, liking to spend a lot of time outside, so they appreciate nature and are keen to lead by example on the sustainability issues. So they often come up with innovative solutions to make sure that we do not burn this planet down to the ground, but at the same time not requiring us to give up all the comforts of XXI century. This fact is probably one of the reasons that STHLM Tech Fest is not just another startup conference with more pitches of useless mobile apps or other «innovations» that nobody needs. No, here at the Tech Fest many sessions and discussion panels this year were dedicated to game-changing issues that humanity faces — topics with real-life impact, like «Future of Food,» «Future of Energy,» «Future of Transportation» and so on. For example, Northvolt, an electric battery startup led by ex-Tesla exec Peter Carlsson, is going to build Europe’s largest lithium-ion battery factory in northern Sweden, accelerating the world’s transition to renewable energy production and storage. Lilium is developing the world’s first electric vertical take-off and landing jet (yes, it makes test flights already!). And Swedish Energy Agency incubates startups that may indeed shape the future of energy, like Exeger who has invented indoor solar cells which can be put on any surface to generate electricity, among others. Speaking about the Future of Food — did you know that around 20% of agriculture products and food produced today in the developed economies is being trashed, unconsumed? What a huge waste of resources. Or that over 50 billion chickens are now being slaughtered every year, along with countless numbers of other animals, which are now considered not living beings, but rather «units of production.» Also, that, ethical issues aside, puts tremendous pressure on the environment, and in the long-run, harms our well-being on this planet. So companies like Matsmart, Oatly, Karma, and others are fighting back, finding innovative solutions to reduce waste, shift our protein intake sources and at the same time, create viable business models and make healthy food more affordable to everyone. All of these companies were sharing their visions for the future, discussing ways and challenges to build a better world, here on stages of STHLM Tech Fest. And I must admit, it was incredibly motivating. Of course, there was other stuff you’d normally expect at the tech conference, like talks about the AI from IBM and Amazon, startup pitches and VC panels with prominent investors like Jason Calacanis, and of course, a roof-top party (under the rain, this is a Stockholm after all!). As I see it, another reason Sweden is doing so good with the innovations these days is human capital. A lot has been said about a «Scandinavian socialism,» or «Nordic model,» which is a combination of free market capitalism with a comprehensive welfare state. Simply put, Swedish society is very inclusive, with a quality education and healthcare affordable to everyone, and a strong social «safety net» available to its citizens. Having all basics covered, it allows entrepreneurs to focus on the business, and also compensate for unavoidable risks of burnouts and failure inherent in startups. Combine this with access to the talent pool of highly educated workforce (programmer is the most common job title in Stockholm), as well as to venture capital, and it brings most of the pieces of the puzzle in place for startup founders. Some industries may still ask for preferences to facilitate growth — for example, Swedish gaming industry is wildly successful with companies like King (Candy Crush) and Mojang (Minecraft) coming from Stockholm. So a question was posed to the EU and Trade Minister of Sweden, Ann Linde, will Sweden introduce some special (tax or other) incentives for game developers? Her answer — «No, I cannot promise that, because we believe that sectoral preferences are unsustainable in the long-term, and we prefer to invest in the infrastructure (like education, broadband) which eventually fuels growth for many.» And seeing things in perspective, it is hard to argue with her. I am definitely looking forward to coming back to Stockholm some other day to mingle with like-minded entrepreneurs again, exchange ideas and get inspired. Well done Stockholm!